Today was definitely nothing like I planned. I planned to clean and do hair and finish up some majorly neglected projects, but instead I went to a Pow Wow. Yes, an actual Native American Pow Wow. 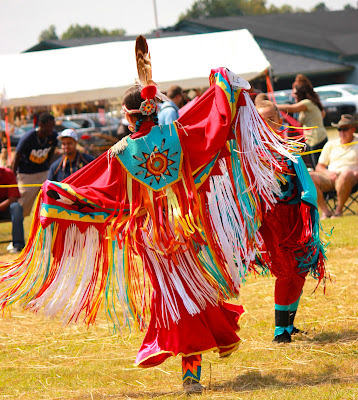 Hubby was invited by the university's Multicultural Association to the Guilford County Native American Association Annual Pow Wow and I thought it would be great to tag along and see what a Pow Wow is all about. I was so amazed to see the pride the people took in their work. The craftsmanship was outstanding. Most of the vendors hand made their items. Their willingness to explain the history and significance to both the traditional dress, dances, and ceremonies definitely made the experience much more enjoyable. 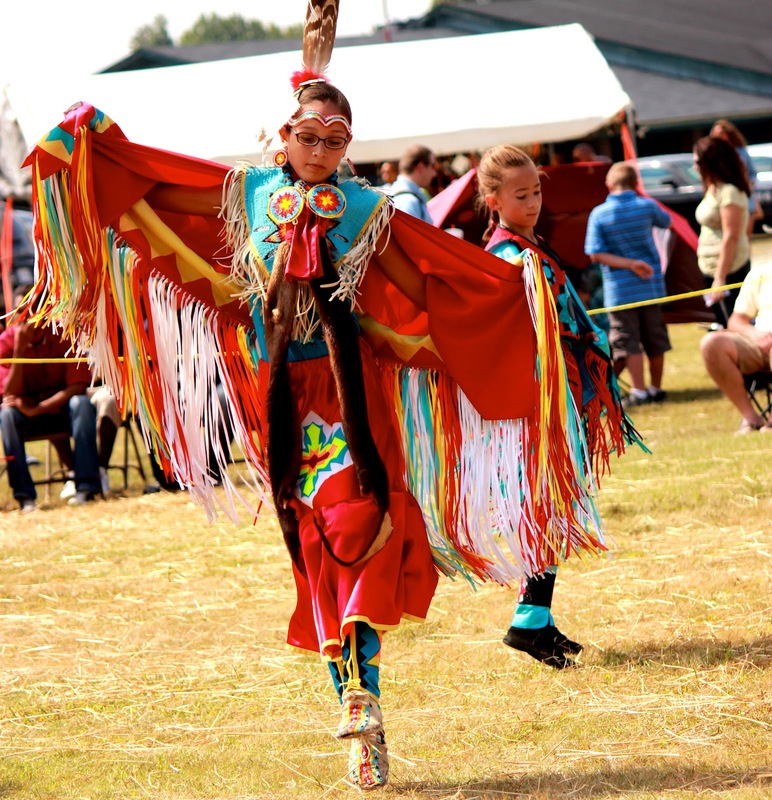 A young lady dancing a traditional healing dance. I most certainly did not think I was going to enjoy myself as much as I did. It was such an honor being a part of this experience.